Let’s see why Naltrexone protection replaces methadone substitution. Let us compare what Naltrexone and what methadone programs are. First, methadone as a legal synthetic opioid drug, was invented as a substitute for heroin- illegal drug. Naltrexone is a genuine abstinence, it is a state of being straight, without using any illicit drugs. Detox from Methadone available. Contact our Methadone detox Clinic now! Furthermore, the length and utilization way of the medication. 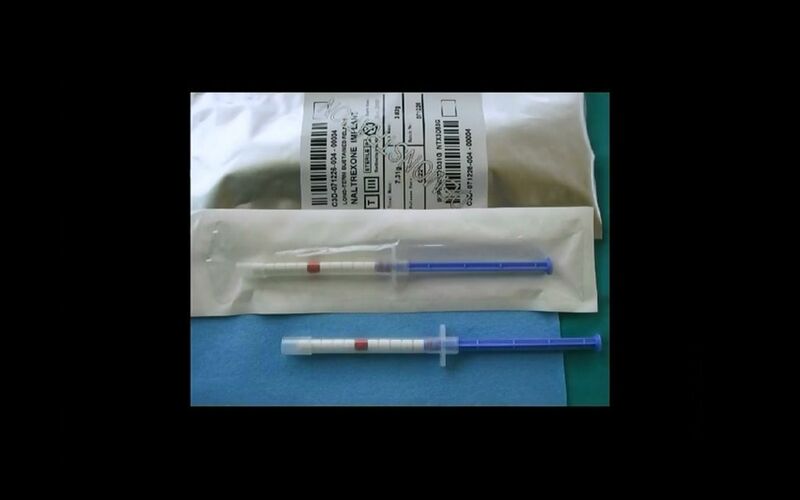 In the case of methadone, it is continual, daily and, for many, a lifetime use of synthetic opioid but in the case of Naltrexone, there are periodic injections or subcutaneous pellets or intramuscular injections in the form of Naltrexone depot for a year. If man chooses a 12 month Natrexone implant, he places it one time for the whole year. In addition, methadone is badly undetectable brain narcotisation and addicted brain has the need to add amounts of methadone. Then, the tolerance grows or the need to add the quality of experience arises. Therefore heroin is added or methadone is consumed intravenously. However, under the laws of the great narcotic syndrome, addicted brain tries to trick the substitution with the urge in order to emphasize the experience. Read about rapid methadone detox. This is not the case with Naltrexone. It is quiet, steady continuation of straight life. As regards the rehabilitation and psychotherapy, when the methadone addict visits a group therapy he learns there to adapt to a dull, gray life, a life of a synthetic opioid addict and to abstains from other drugs. There, he meets with other addicts where they share their experiences and learn from each another. In such situation, they remain in sick micro environment, because their discussions and conversations with a therapist are mostly focused on drugs. A man with the Naltrexone blocker is in a quite different situation: they are looking for a normal, healthy life, filling it with new interests, new faces, activities, with money, travel, new acquaintances, with joy and love. They are trying to establish a healthy family with healthy children and are moving toward a positive future. Naturally, they go to a completely different psychotherapy and rehabilitation. Psychotherapy is aimed at rapid restoration of his natural hormones of happiness, endorphins, and at development of a life success. There are no addicted people. An abstinent with Naltrexone goes immediately into the world of healthy people and starts to live with them. And now regarding chemical dependency. Methadone causes a more complicated addiction than heroin. Independent cleansing from methadone is almost impossible, because the crisis is much longer and more painful. The situation is even worse with supstitol, compensane and other pharmacological opioids of long-term effect. The patient himself and even most hospitals can not implement drug detoxification in an easy, comfortable and safe way. It is a real trap for addict who become addicted to medicine. Naltrexone never causes addiction and the treatment can stop at any time without any consequences and feelings. The task of the Naltrexone therapy is to strengthen the abstinence and enable the brain to return to normal natural enjoyment, the release of his own happy hormones. Now, regarding the progeny. If parents who are methadone users want to have a child, it can be a serious problem. First, the genetic quality of gametes, eggs and sperm are intoxicated with a synthetic opioid. Furthermore, conception, pregnancy, birth, breastfeeding, everything that has to do with the baby's future, is pre-poisoned with drugs, including innate dependence on opioids. Fetal development of the brain and of the whole body is conducted with the continual influence of methadone. Now, what the newborn expects after birth, when the umbilical cord is cut and maternal blood is no longer available? Finally, methadone was invented in order to protect society from criminal problems of heroin addicts due to consumption of illegal drugs. Naltrexone was invented to protect man from the consumption of opiates of any kind, especially heroin habit.